This is another rare soup made with herbs from the heart of South India. ‘Thippili’ is the Tamil word for Indian/Indonesian long pepper, an ayurvedic medicinal plant with therapeutic properties. In fact, as I just learned from Wikipedia, the etymology is the other way around. The word ‘Pepper’ has its origin from the Tamil/Malayalam word “pippali”, how interesting! My mother got these actual dried herbs from Chennai, when she visited me this summer. 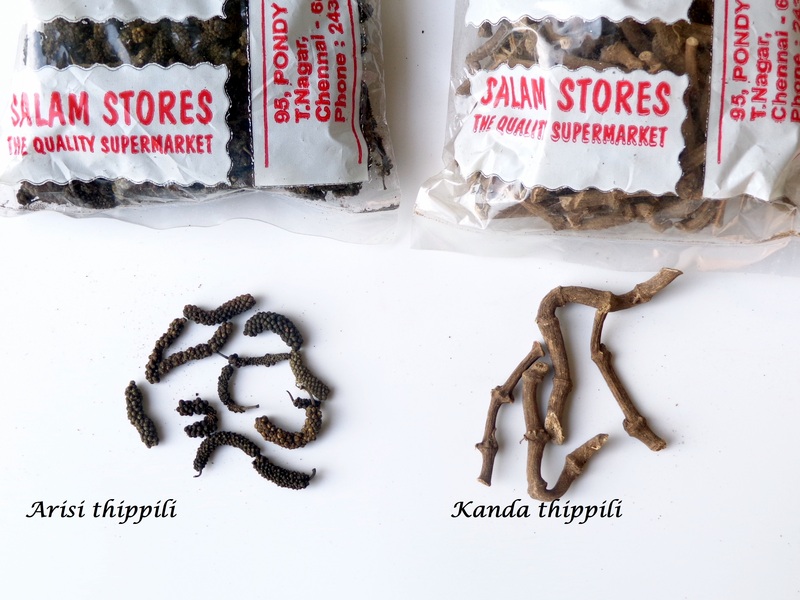 ‘Arisi thippili’ is the dried long pepper and ‘kanda thippili’ is the dried root of the plant. 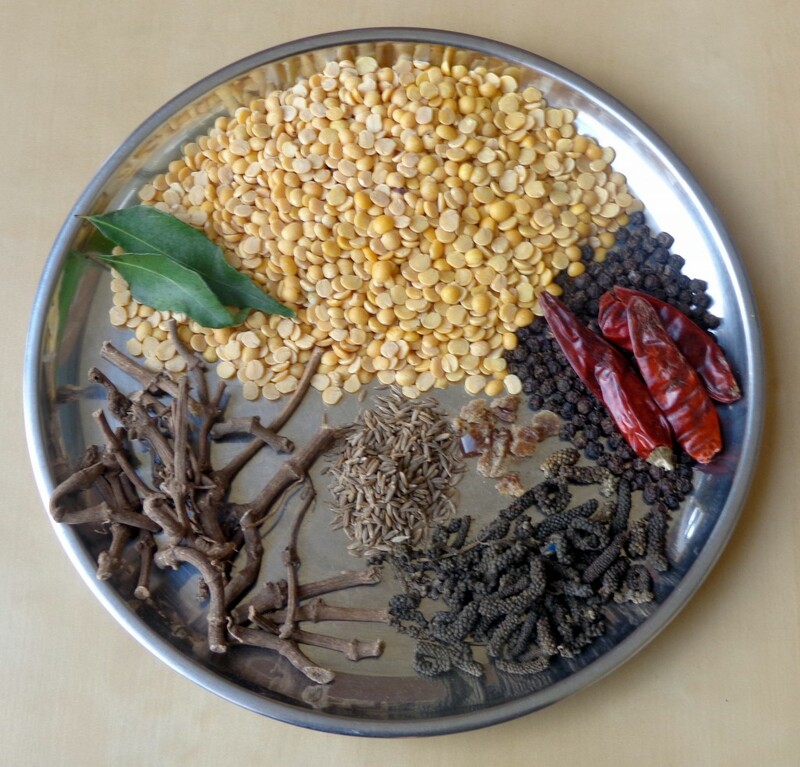 A rasam powder is prepared from these herbs and can be stored for a long time in an airtight container. 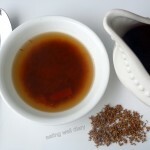 A soup/rasam is prepared and regular consumption (once a week) is good for health. It is especially useful in the winter months for alleviating pain from cold, sore throat and other ailments. I found that this is supplied by India Mart too. 1. Roast all the above ingredients in a tsp. 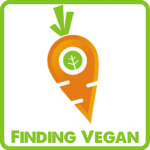 of ghee (dry roast or roast in coconut oil for vegan version). Make sure to remove moisture from the curry leaves. 2. Allow to cool before making a powder in a spice grinder/blender. 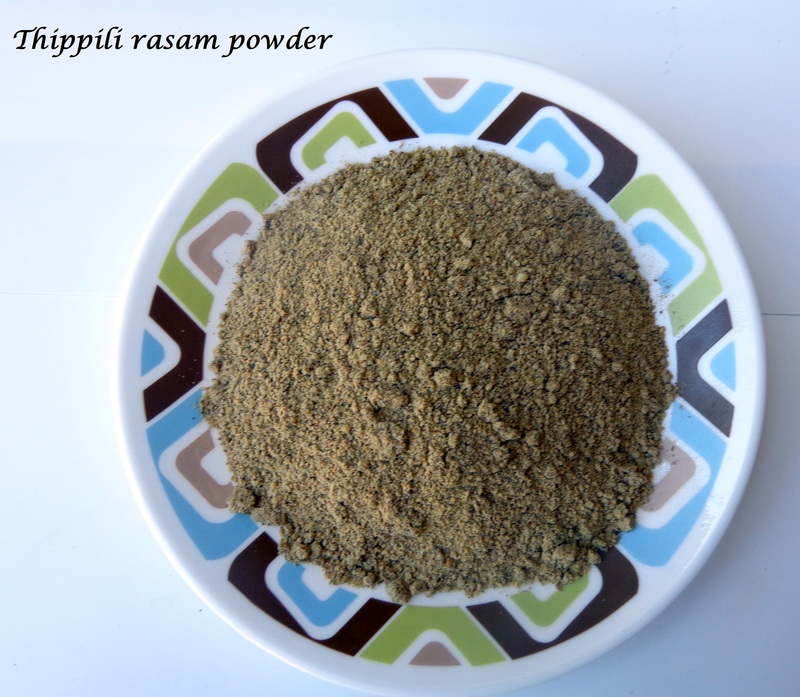 Rasam powder (prepared above)- 2-3 tbsp. fresh tamarind or tamarind paste- 1 tsp. 1. Bring all ingredients to a boil in water. 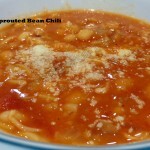 Allow it to boil a couple more times for the flavors to infuse. 2. Heat mustard seeds in ghee till they pop and add to the rasam. 3. 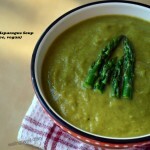 This is traditionally mixed with rice in the main course of a meal, but I like to drink it as a soup too. 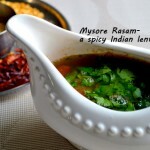 Some finely diced tomatoes can be added to the water while preparing the rasam. Have heard of this Apsara, very healthy!!! It is, Malar. 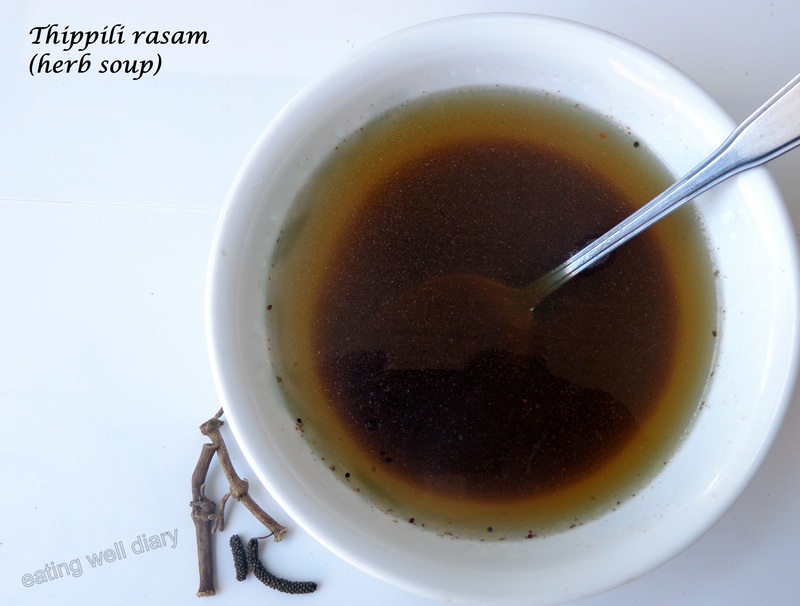 I should remind myself to make it often, since I have the rasam powder with me now! This natural remedy helps a lot to keep away from cold,cough,running nose and throat irritation etc., Every one must have this at home to get immediate relief from cold related problems. Where can I buy kanda thippili and arisi thippili. Could you send me a website where I can order these? Hello Lalita, the best pace to get it is from Chennai, from someone who visits, I have also provided a link to India Mart an online store where I have seen arisi thippili.